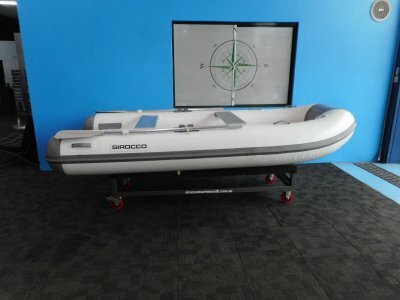 Sirocco Marine is a world leader for inflatable boats. 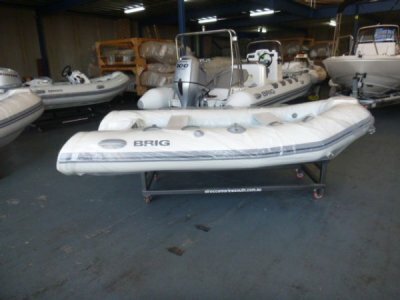 Their innovative boat design and manufacturing is well recognised. 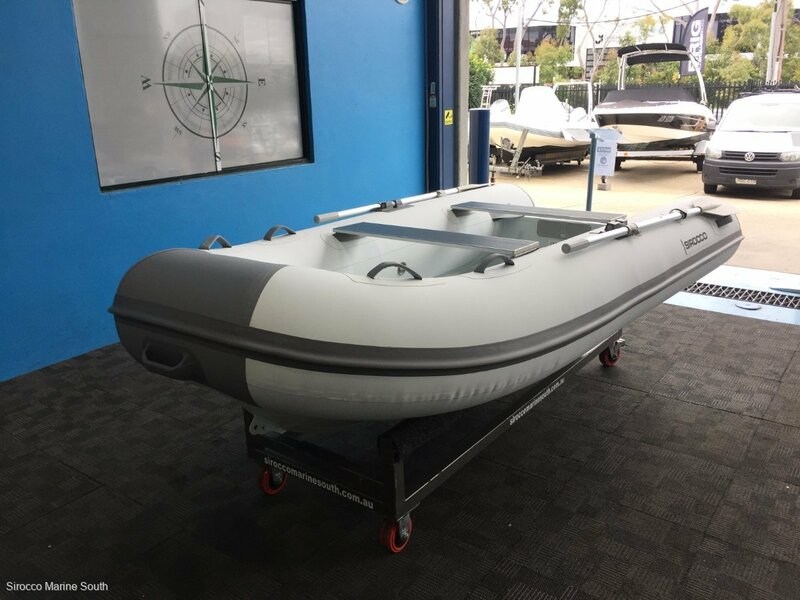 Their inflatable boats are designed using Australian design skills, great attention to detail and the world's best materials. 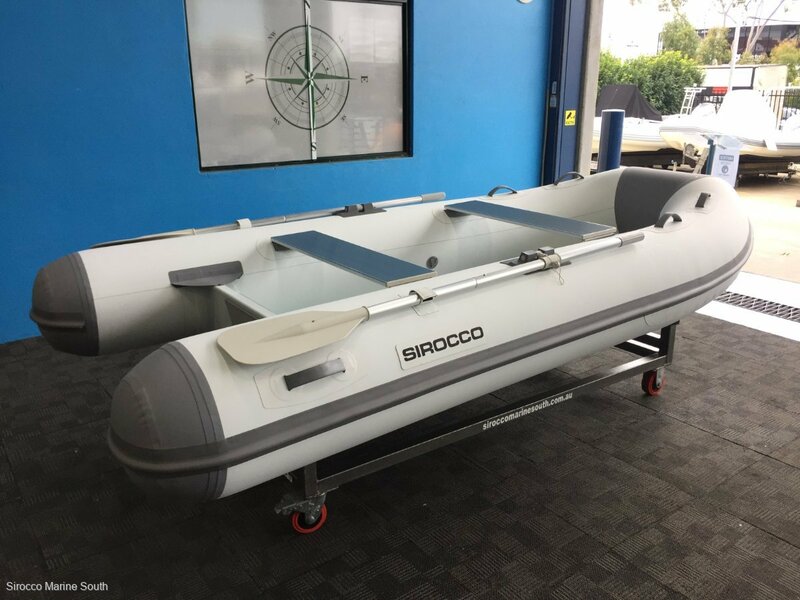 The Sirocco RIB range inflatable boats offer all the performance you'll ever need. 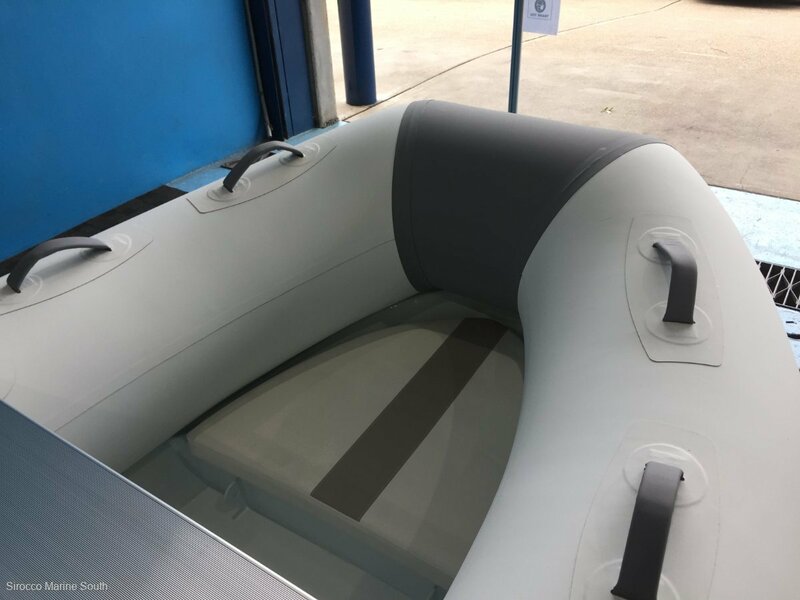 It is just the right combination of performance and comfort that you expect from an aluminium or fibreglass inflatable boat, combined with the lightweight and convenience of an inflatable boat. 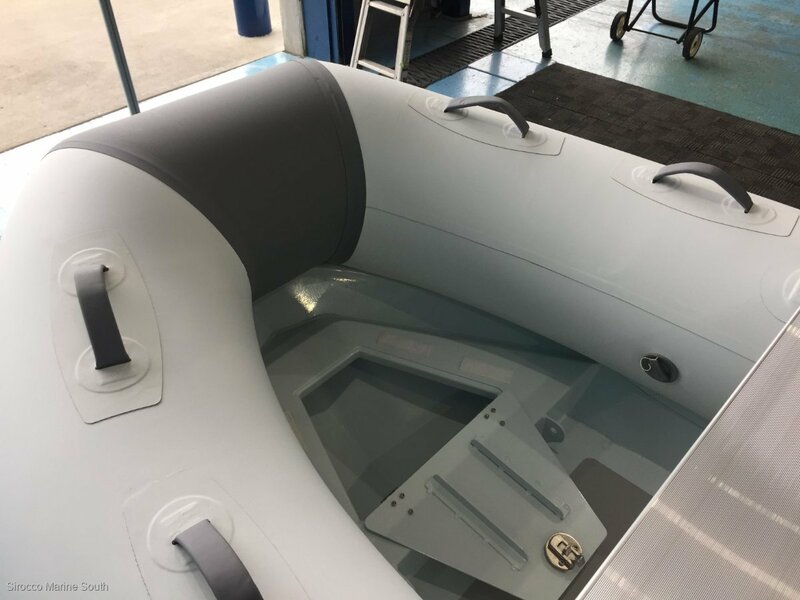 The rigid hull and non-slip moulded deck offer the advantage of a dry and comfortable ride as well as being more robust and stable than a traditional inflatable boat. 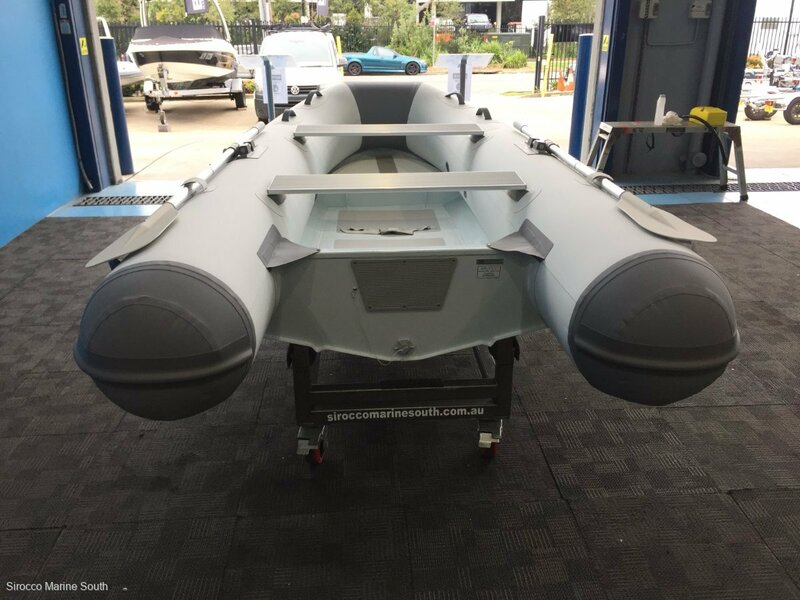 The flat end cone and rigid hull design make for better weight distribution and decreased bow lift. And a total boat weight of 56kg makes this a very light and manageable boat. Combine these with a powerful engine and let the fun begin! 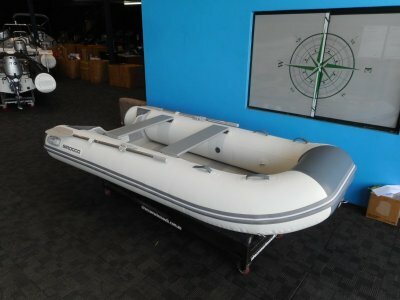 Superb lines and ample grab handles give you the fibreglass inflatable boat of choice that is built to last. 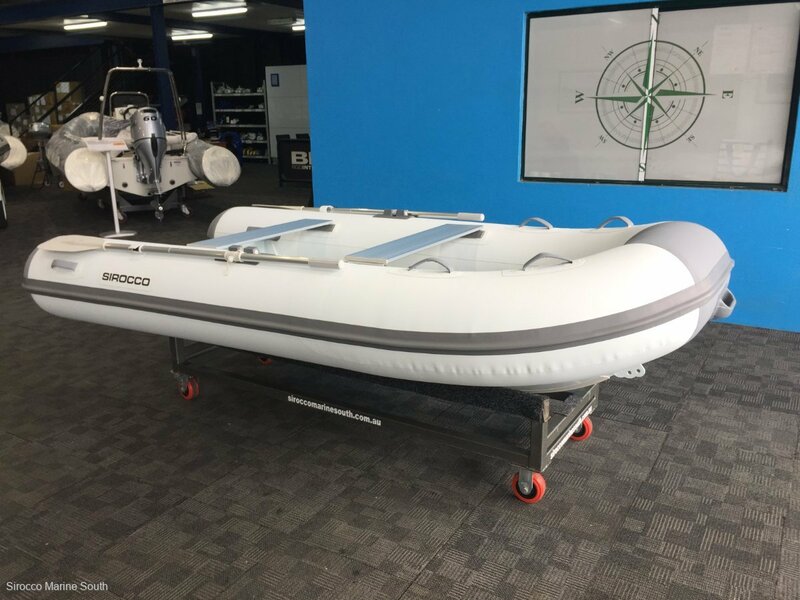 The Sirocco 310 Alloy RIB inflatable boat comes with everything you need for years of hassle-free use, just unpack and you're ready to go. 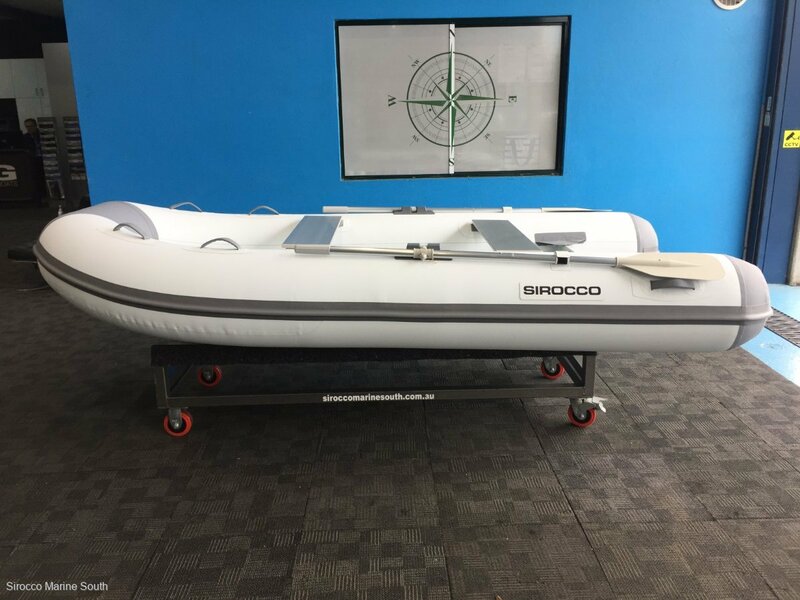 Large diameter tubes made from the toughest Orca hypalon - gives Sirocco Inflatable boats greater stability and load carrying ability. 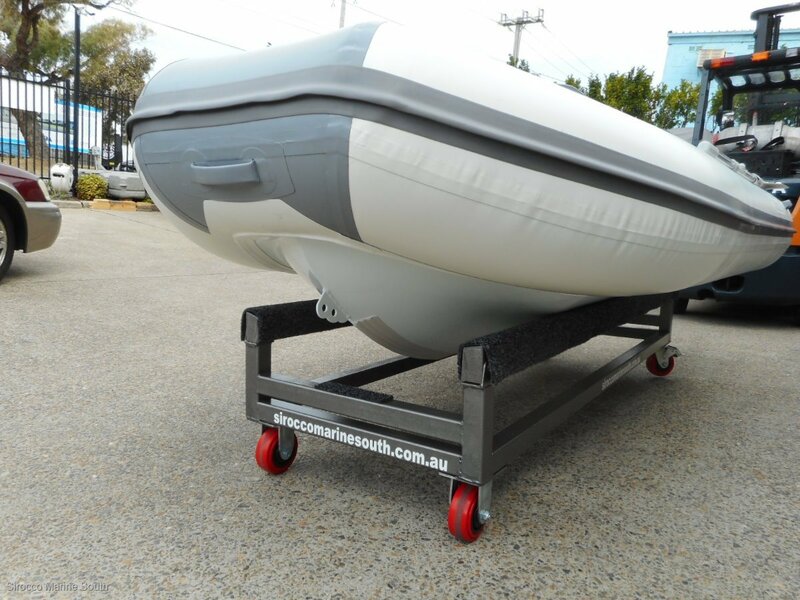 Flat end cones - an innovative design that allows the boat to plane faster. It has better weight distribution than conventional cone design, allowing the use of heavier, more powerful engines and decreased bow lift. The flat cone design acts as a trim tab, increasing stability and ride comfort in heavy seas with reduced backwash and spray. Heavy duty transom with splash backs - designed to take modern 4 stroke engines. The splash backs help eliminate backwash when coming off the plane, keeping the boat and occupants dry. 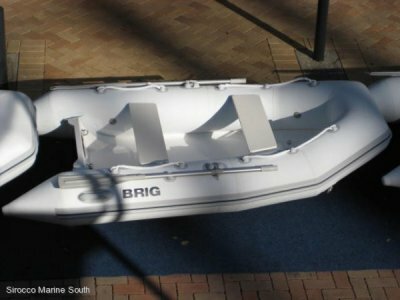 Carry bag - for convenient transportation of your Inflatable boat. Ergonomically designed seating position - with removable bench seat for extra versatility. 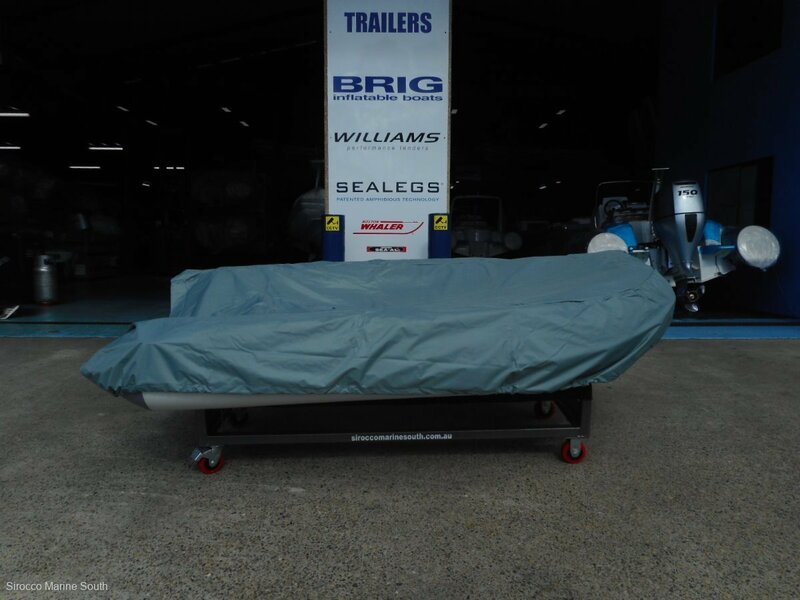 Includes seat, oars & rowlocks, pump, repair kit, cover and storage bag.